For more information on how to use MyFreeTaxes.com, click above for a short video. MyFreeTaxes.com gives you the freedom to file your taxes from your home or anywhere with an internet connection. Its step-by-step process helps you learn the skills to file your own taxes – and receive 100% of your refund - with ease. Start the process with the free tax prep checklist provided on the website. 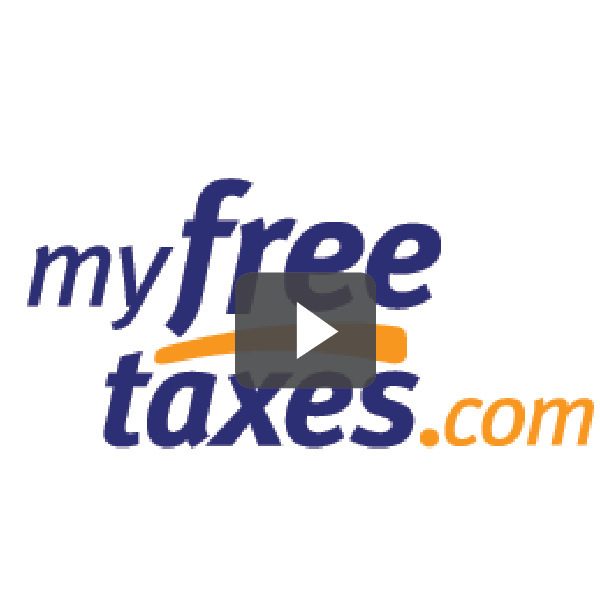 Once you’ve started filing, look for the MyFreeTaxes logo on the top-left of your screen. This will be on every screen except your account creation page, and ensures you’re filing with MyFreeTaxes and not one of H&R Block’s paid products. Interview-style questions will guide you through the filing process and help you claim valuable credits like the Earned Income Tax Credit (EITC). Automatic calculators and answer-checks from H & R Block will help you avoid errors. If you have any questions, IRS-certified specialists are available through chat or phone. You can even save your return while in progress and finish it later. This service is confidential, and filing your taxes electronically means you can get your refund even faster. United Way and our Free Community Tax Service are making MyFreeTaxes.com available to help low- and moderate-income earners save money on tax preparation and claim the credits that will help your budget. Visit MyFreeTaxes.com to start filing today!